So, look, I’ve been very lazy with my posts, and my knitting & crochet to be honest (Satan Koala is still not done), but more on that later. Right now, I just wanted to do a quick post to sate my blogger’s guilt for now. And so, I share with you what I would look like if I were a lady, because I just know y’all were dying to know. 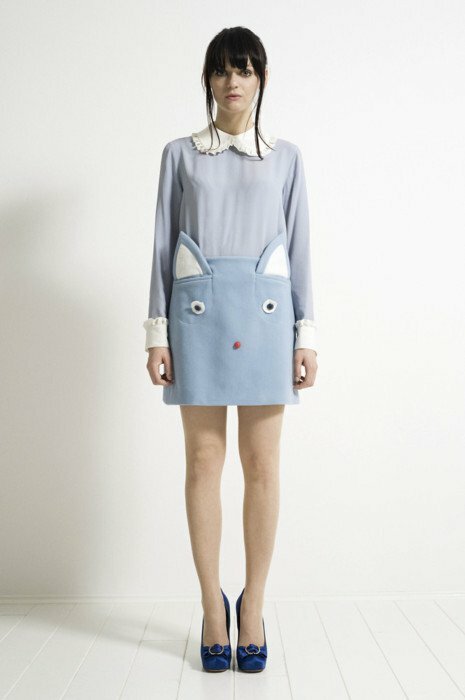 I don’t know that I’d be that pretty or thin, but I’d TOTES be up for wearing a cat dress at every possible moment. See, I’m one of those people who maintain that Bjork’s swan dress was absolutely the right answer for red carpet glamor. I also appreciate the button nose ever so innocently… erm… marking the spot. Panda cracks me up with this sorta stuff, she speaks my language and I love her face off. I don’t have much craftiness to report right at this moment, and what I do have I’ll save for the forthcoming post this evening. Suffice it to say that much of my craftiness has been a little sidelined by the Xbox. Oy. Anyway, I’ll post again this afternoon about all that jazz. Woah I’d honestly thought you’d be prettier as a woman hun:) lol but I do like your Kitty Dress! Xbox is just way too much fun, so I understand the craftiness left on the sidelines.